After last week’s disaster Shaandaar this weekend is coming up with new promises. The new weekend has a balanced palette of both Hindi and English releases. Based on the life of a real criminal this film promises to be gritty and intense. However due to the bold subject family audiences will stay away from this one, also the star cast does not have a big opening value so most of the film’s fortune will depend on the content and later word of mouth. Film has Randeep Hooda playing the title role and Richa Chadha as the leading lady. Directed by Prawaal Raman who is known for directing some horror under RGV banner, this is a genre shift and will be a test for him. 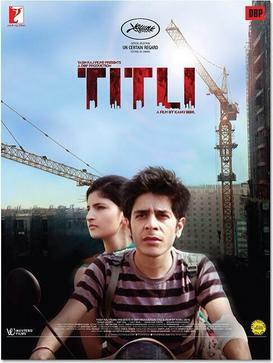 Titli is again a slice of life crime drama directed by first time director Kanu Behl. Produced by YRF and Dibakar Banerjee the trailer promises this one to be reality cinema with complex characters and twisted plotline. The trailer seems very interesting and the league of actors portraying the characters seems justifying the trueness of this movie. This is again a content heavy film and the fate will be decided based on the public reactions. Sony pictures is releasing its fantasy comedy movie Goosebumps this Friday. 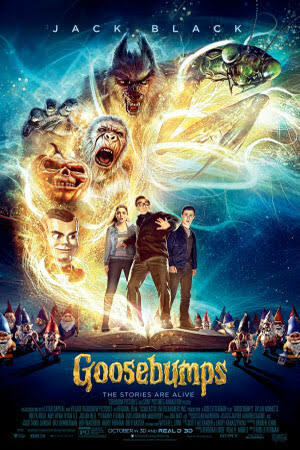 Goosebumps is based on children’s book series by R. L. Stine. The film stars Jack Black, Dylan Minnette and Odeya Rush. The film is in 3d and has a lot of monsters that come alive out of the books, it seems like a fun ride. The film is already dong great business in the west.